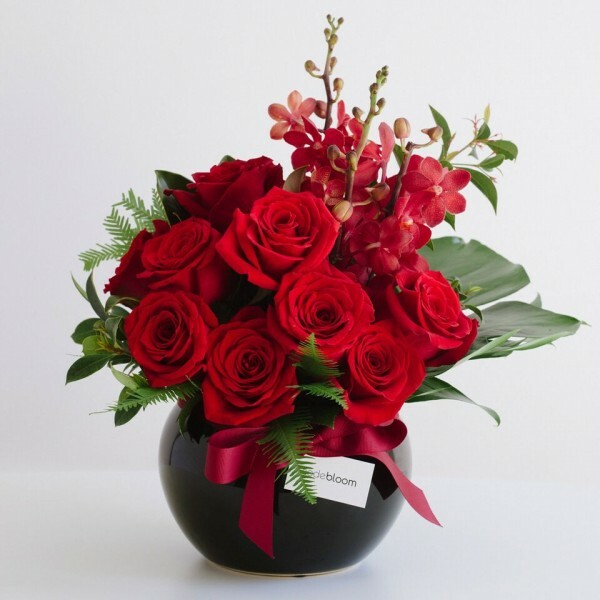 A deep brooding vase arrangement with a modern grouping of gorgeous red roses and orchids in a black fishbowl vase and a touch of greenery. Forget the standard red rose arrangements, this one is the one. This gift also comes with a complimentary gift card for your own personal message.